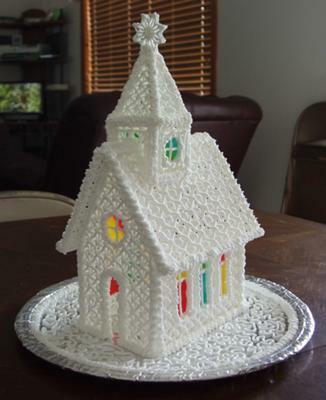 Came across the pattern and instructions for the Icing Church on the internet a year ago and finally got around to making it. Entered it in the county fair and won Best of Class for non-professionals. 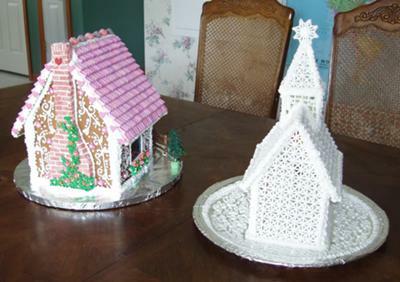 Received a blue ribbon on the gingerbread house. 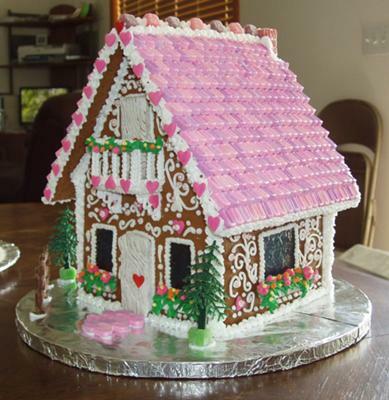 Really like the pez roof on the house and icing balcony.